Presenting an extensive collection of cedar chests and blanket chests. 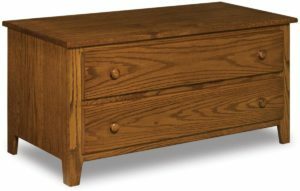 Our collection of solid wood cedar chests includes all the popular styles and designs. Like Mission, Shaker, Traditional and Modern. But even more impressive is the construction. 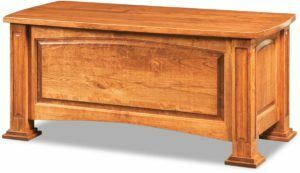 Because skilled Amish artisans carefully handcraft each cedar chest and blanket chest. Also, the Amish men use quality cedar and other hardwoods. Plus tried-and-proven cabinetmaking skills handed down from their ancestors. As a result, you’ll be able to see and appreciate the meticulous attention to detail and the beautiful finish of the storage chest you buy. So browse the collection below. Or visit Weaver Furniture’s ‘brick and mortar’ store in Shipshewana, Indiana. 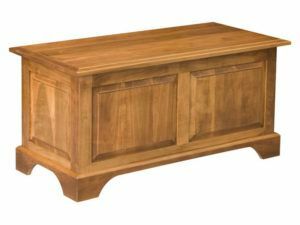 And see for yourself which cedar chest, trunk or blanket chest best fits your bedroom – and your exquisite tastes. Since the 15th century Italy, women have been storing their precious possessions in cedar chests and blanket chests. Back then, future brides acquired one to store their dowry. Including items like clothing, linens, quilts and dishware. 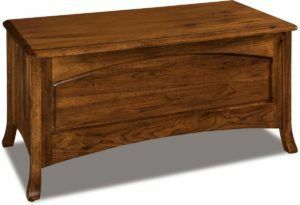 Choose a cedar chest or blanket chest from Weaver Furniture. And proudly carry on the tradition. Also, the chests are sturdily built. So the chest you choose can easily become an heirloom. Keeping the tradition alive.